As we walked a low ridge we came upon a mystery: a dozen square feet of desert pavement formed by gray Archaic potshards and eleven fragments of chert knives, none from the same knife. No trace of habitation. Had we stumbled on a sacrificial place, where pots and knives were broken to send their spirits onward with the dead? 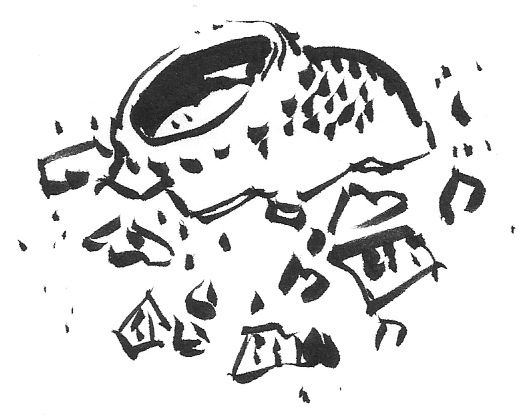 Was it the site of a solstice ritual like Zuni’s, when pots were smashed? As a theory I like Paleo PMS.